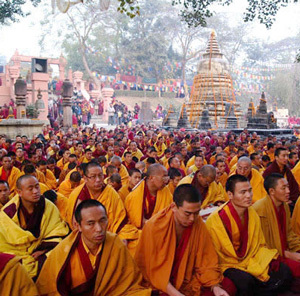 Monlam Prayer Festival, also known as the Great Prayer Festival in Tibet, is from the 4th to the 11th day in the first month of Tibetan calendar. 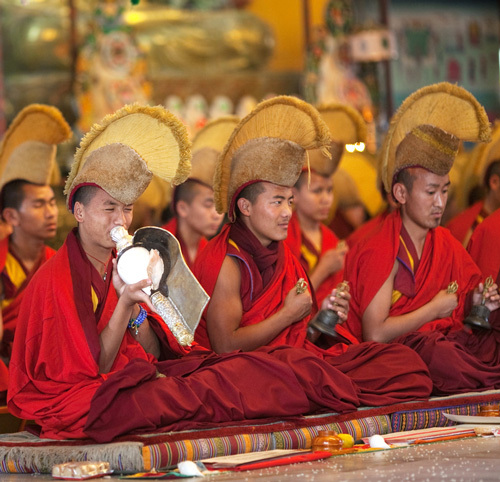 It is established in 1049 by Tsong Khapa who is the founder of Geluk tradition. 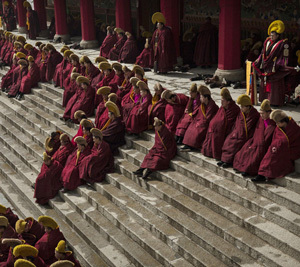 The Prayer Festival is the grandest Tibetan religious festival. 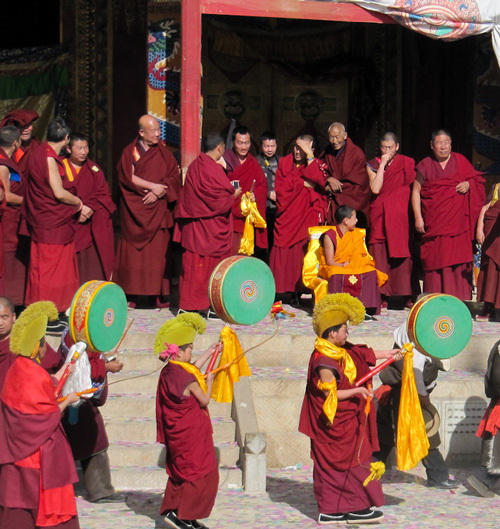 For celebration, thousands of monks (from Gelugpa three main monasteries: Drepung, Sera, and Ganden) gather together for chanting prayers and performing religious rituals in Jokhang Temple. 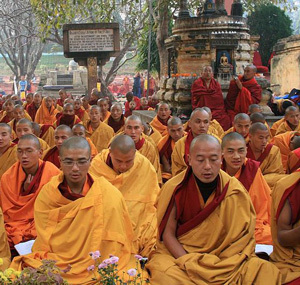 They pray for remembering Buddha and all his activities and wish to pass on his teachings to all people in the world. There are also religious dances throughout the festival. 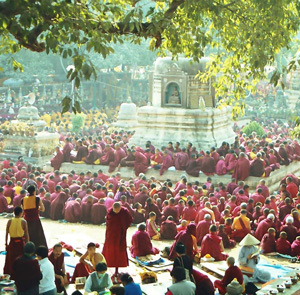 Here below are few pictures about the Prayer Festival. ad more Tibetan Traditional Festival.